I want to share what tools I’ve found useful for managing my events. First, I’ll introduce Meetup.com for those who are unfamiliar with it, and describe how it helps me to publicize my events. Then, I’ll describe why I also have a self-hosted WordPress website using Event Espresso. Lastly, I’ll share some other plugins I’ve found helpful. I hope sharing my experience will be useful to anyone who is looking to explore more ways to manage their own events using some of today’s innovative event registration and networking tools. 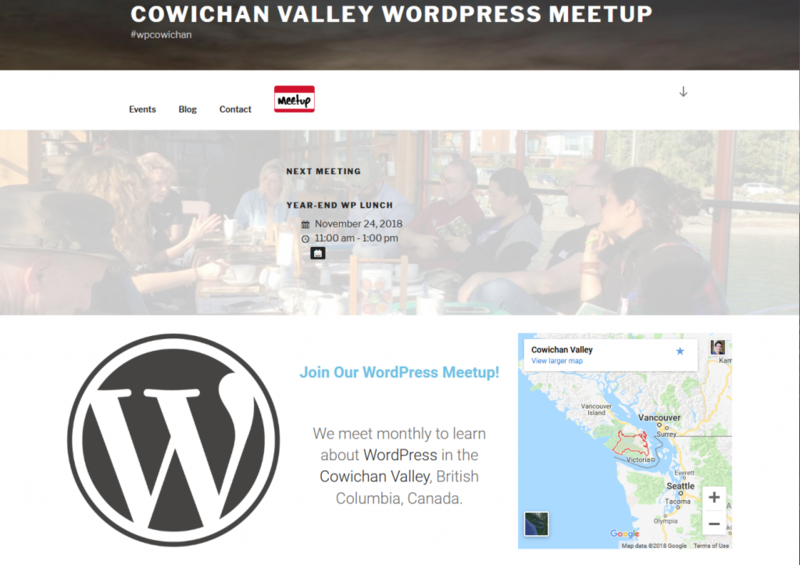 For almost a year, I’ve been running an official WordPress Meetup group called the Cowichan Valley WordPress Meetup. The point is to periodically meet to learn from local WordPress users, not sell tickets. Our community is quite small and not particularly well-known for tech. Being an official WordPress Meetup group, there are some rules we need to follow, including listing all our events on Meetup.com. However, because it is focused around using WordPress, it only made sense to me to also have a WordPress website for the group. Also, because I help develop the WordPress plugin Event Espresso, I thought I should “eat my own dog food”, and use it also, where applicable. So, how do I use these tools, and what benefits do they offer for my events? I put all of our group’s events on Meetup.com, which helps get it in front of interested locals. Meetup.com users indicate what types of events they’d like to attend (eg tech-events, hiking, painting, etc.) and people like me create groups that fit into those categories. Then Meetup.com does its magic: not only can users search for groups and events that match their interests, but they’ll also get notifications of what’s going on nearby. 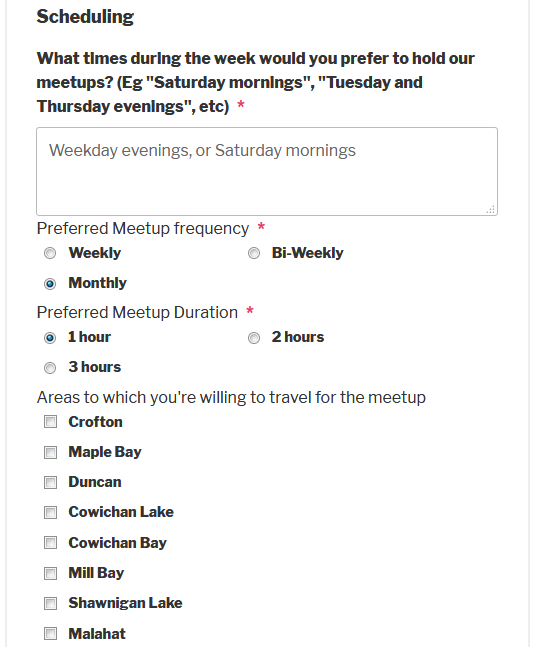 Meetup.com will offer suggested events and groups based on my location and interests. 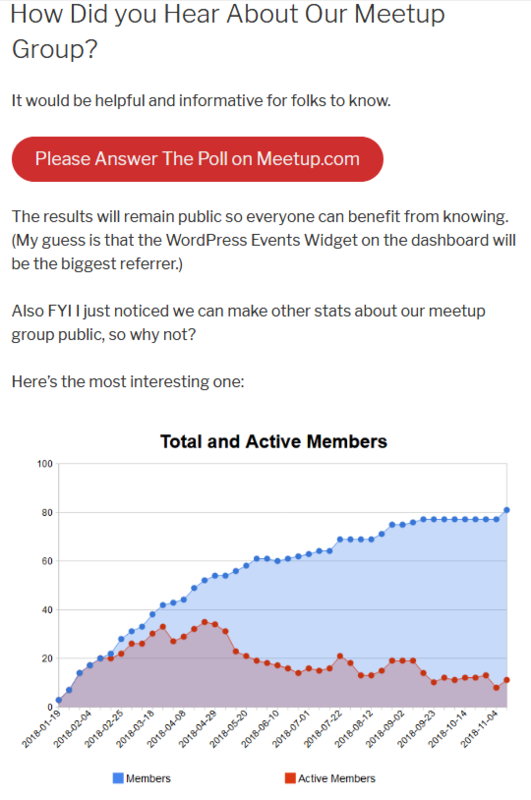 Most people discovered our local WordPress meetup group through Meetup.com. There are 35 million meetup users globally, so there’s probably a good number in your area. While we also have a Facebook group, Meetup.com has been much more useful for publicizing our events, despite Facebook’s larger user base. I think that’s because Meetup.com users are specifically looking to attend events, and Meetup.com is better at only suggesting events that match a person’s declared interests. If you haven’t tried Meetup.com, you should sign up for a free account, discover what local events it currently lists, and then consider creating a group on it. 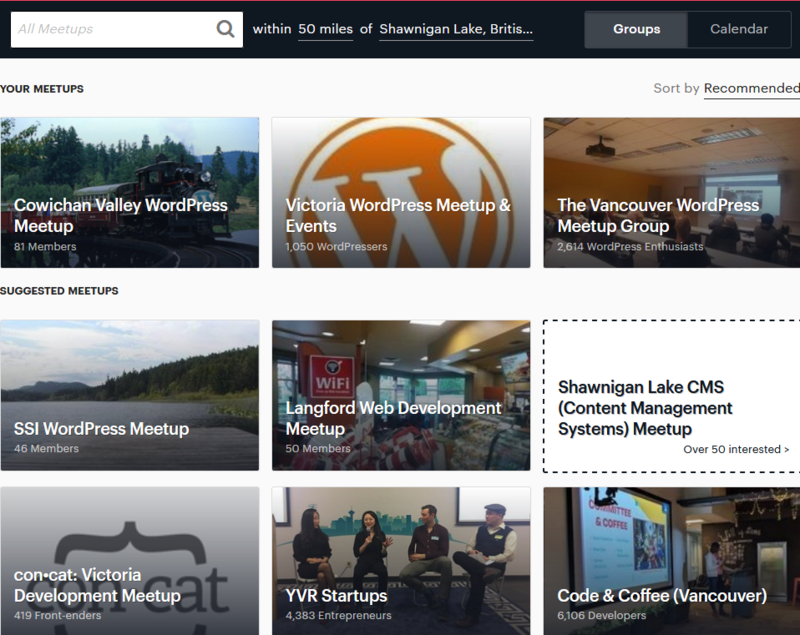 In addition to having a Meetup.com group, our meetup group also has a self-hosted WordPress website over which we have complete control. Specifically, we rent a server on which the open-source website software WordPress is installed. This means we’re in charge of what the software does, what its data is used for, and how long it stays around. While Meetup.com is a great service, and many groups don’t bother having their own website besides it, for me it’s important to know my group also has an independent presence on the web, distinct from Meetup.com. If Meetup.com goes bankrupt, gets shut down by new owners (it has already been bought-out once, although the new owners kept it going), raises their prices prohibitively, or decides not to serve our group anymore (like Eventbrite did recently), our group will be ok. There’s somewhere we own the data, run the software, and are in control. And what if the company we rent the server from, disappears? We’ll switch hosting companies, and our website will continue to run as before. Or what if the entire WordPress community stops updating it? We’ll stay on the most-recent version and, again, our website will continue to run. For me, self-hosting a WordPress website brings independence and freedom. If you’d like to try self-hosting WordPress, we recently surveyed our users for their favorite WordPress hosting companies. 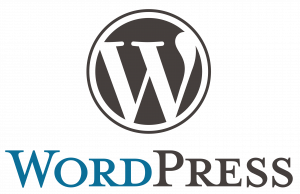 If you’ve never tried WordPress before, it might be best to setup a free WordPress.com site first, where they take care of hosting. Then, once you’ve learned the basics, you can migrate to a self-hosted site. Naturally, I use the WordPress plugin Event Espresso for registering attendees and providing additional event information which is outside what Meetup.com offers. For example, when users mark themselves as “attending” an event on Meetup.com, it’s a very soft commitment. You can ask questions, but only open-ended ones. And the data is kept in Meetup.com’s servers, so it’s their data: they choose how you access it, what they’ll do with it, and how long they’ll keep it. In contrast, I’ve found that when people registered on the website with Event Espresso, it was much more likely they would attend. Event Espresso supports lots more question types, including multiple-choice questions. And the data is on your server, you can do what you like with it, take it with you, or, if you like, delete it completely when you’re done with it. Here is a partial view of the Event Espresso registration form used for our meetup group. If you already have a WordPress website, you can install Event Espresso Decaf for free. Otherwise, you can demo it here. Lastly, if you’d like the features of Event Espresso without being responsible for self-hosting, checkout EventSmart.com [a hosted version of Event Espresso]. In Event Espresso, I created a fairly extensive registration form to learn about our group members’ needs. For example, one question asked users what was their “reason(s) for attending our meetup.” Event Espresso allowed me to inspect each attendee’s responses individually, but I wanted to see their responses in aggregate. So, being a developer, I created the Event Espresso Registration Answers Add-on to help event managers analyze the attendees’ answers to custom questions. The above pie-chart was generated using that Add-on. 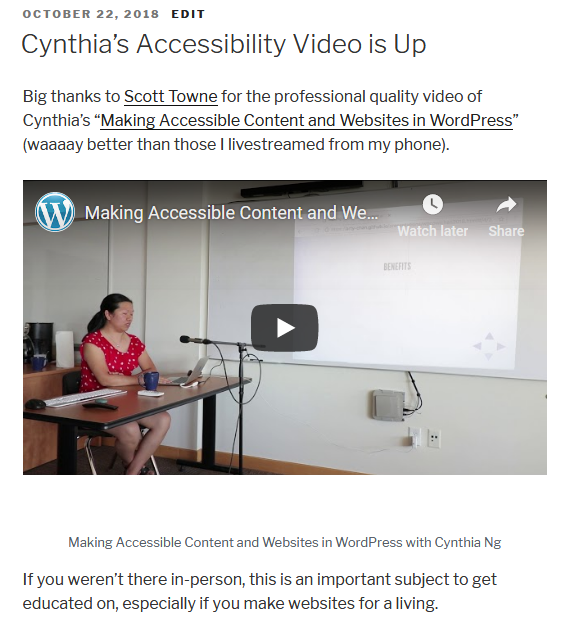 This helped me identify a trend: most attendees in my area weren’t experienced WordPress users: they were just wanting to learn the basics, get help, use it for blogging, and socialize. That’s something I could have missed without this tool, and without the freedom to customize the software to my needs. You can download the Event Espresso Registration Answers Add-on for free from GitHub. Please note that it is BETA software, meaning although it works for me, it hasn’t yet been widely tested, so there’s a chance it might not work on your WordPress website. So it would be best to first try it on a test site. Our meetup group is ran by volunteers, so it’s important to let attendees know who made the event happen and give them credit. That’s what the Event Espresso People Add-on does. Screenshot showing contributors to an event. Meetup.com does also allow you to list a group’s sponsors, but this lets you drill down into exactly which events they’ve sponsored and how. You can purchase the people add-on for $59.95, and get the code snippet I wrote to improve the layout with pictures from GitHub for free. Ever since we had a presentation about Elementor at our meetup, I started using it for designing our site’s pages. 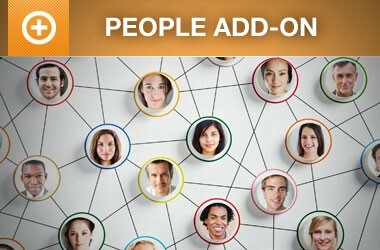 It makes adding logos, images, columns, and designing pages really easy. You can make a very nice, unique-looking site with it. And, if someday I decide I want to try something different, it doesn’t lock me into it. I use the version of Elementor which you can download from WordPress.org for free. Its competitor, Beaver Builder, is another good choice and which has integration with Event Espresso. Gutenberg is WordPress’ upcoming blog post editor. It allows for creating blog posts with much richer content than just a wall of text, and much easier than I’ve experienced elsewhere. I prefer to use it for writing blog posts, and use Elementor for laying out pages. Post with a call-to-action button and an image. Post with links, and an embedded YouTube video. I try to blog my notes from each event, and photos and videos. This helps whoever wasn’t able to attend to still learn something, give presenters an opportunity to reach a wider audience, and give potential attendees a better idea of what to expect. You can peruse our group’s blog here. If you’re on WordPress but using the classic editor, you can demo Gutenberg here. Lastly, I use the WordPress plugin Yoast SEO in order to help me with making my website more optimized for search engines. This helps me to write pages and posts that will rank higher (and look better) in search engines. In summary, I use Meetup.com primarily for publicizing my events. I put the event’s essential details there, but also point to the events created in Event Espresso because these can contain more rich content. Users can indicate they’re going to attend an event on Meetup.com, or register on the Event Espresso event (I don’t charge for attendance, and so far there hasn’t been a problem with capacity, but if that were to change I’d definitely require registration in Event Espresso, and then check users in using the mobile apps). I use the Registration Answers Add-on for identifying trends in attendees’ answers on the registration forms, and I use the People Add-on for displaying who made each event happen. WordPress is what powers our website, and all the other plugins. I use Elementor for page layout, Gutenberg for blogging, and Yoast SEO for helping me write content people are more likely to find on Search Engines. Our niche, small-community meetup group isn’t huge, but it’s been noticed. Friends, who I didn’t realize were WordPress users, told me they noticed it. Neighboring areas have certainly taken notice. 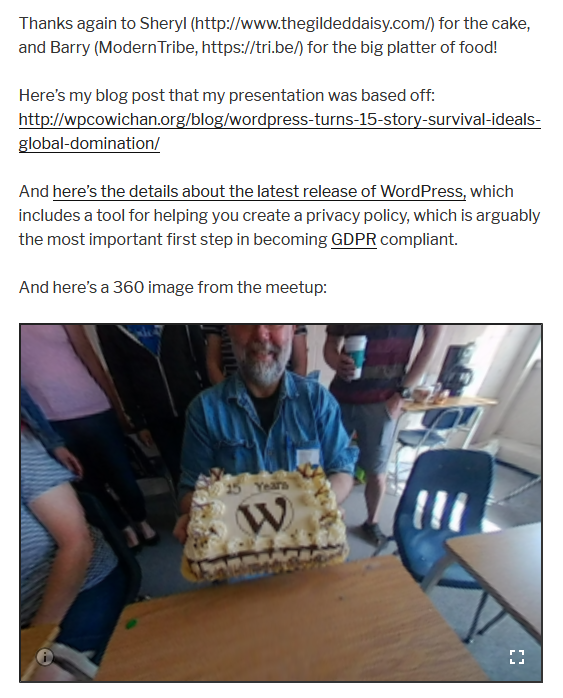 The neighbouring areas’ WordPress meetup groups have been reinvigorated (the previous dormant Victoria and Salt Spring Island groups began meeting again after ours started). Attendees have learned a lot from our videos and blog posts, even when they couldn’t attend in-person. And I’ve made connections and met like-minded people, which I wouldn’t have otherwise. Our meetup group’s website is at wpcowichan.org. How do you use Meetup.com, WordPress, Event Espresso, or one of the other tools mentioned? Feel free to leave comments.